Greetings from beautiful Pittsfield, Massachusetts! 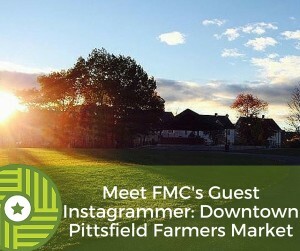 This week and next, Downtown Pittsfield Farmer Market hijacks FMC’s Instagram account, taking you on a tour of their operations, right in the middle of New England’s bountiful fall harvest season! As leaves began their colorful pilgrimage from treetop to ground, DT Pittsfield FM Market Manager, Jessica Conzo filled us in on what makes their market the place to be on a crisp, Autumn day. But market-lovers beware; their photos will surely put you in an insatiable mood for hot, apple cider and some homespun fun! Farmers Market Coalition: Tell us more about Downtown Pittsfield Farmers Market. Jess Conzo: We are a producer-only market, which means all our vendors only sell products they grow, raise, or produce themselves. We operate out doors May through October and now in our third season, are very excited to expand our season with a monthly indoor winter market, in operation November through April! DT Pittsfield started with a market manager, an all-volunteer steering committee and a host of volunteers who helped to set-up and breakdown each week. In our second year, we hired an assistant manager and now in our third year, expanded staffing by hiring a market crew of three. We teamed up with two local organizations (Goodwill Industries of Berkshires and Pittsfield Community Connection) to hire and train young people to staff our market crew. This collaboration aims to give young people a positive and productive activity, while providing real workforce training. We have 20-30 vendors each week, who sell pasture-raised meats, eggs, fresh fruits and vegetables, breads, baked goods, coffee, wine, cut flower, plants, art and more. With live music, workshops, check demos and children’s activities, the market has really become a popular community destination! Our market was founded with the belief that everyone in the community should have access to healthy food. Located in the heart of the city, our market provides farm-fresh food to Pittsfield’s highest concentration of low-income households. Residents are able to easily walk or take the bus to our market’s central location. This season, we initiated our Double Value Program, a money-matching program available to mothers, seniors and low-income residents who use SNAP, WIC and Senior Farmers Market Nutrition Program benefits. Since it’s inception in July, the Double Value Program has put over $15,000 worth of fresh food on the tables of families in need, leveraging federal SNAP dollars to support local farms and the Berkshire economy! In addition, we run a Farm to Table food drive, with the goal of putting farm-fresh food on everyone’s plate! Last season, our shoppers and vendors donated nearly 2,000 lbs of fresh food that we then distributed to several local shelters and food pantries. Our market patrons are a generous bunch! FMC: Other than farm-fresh food (of course! ), how does DT Pittsfield draw the neighborhood to its market? JC: Each week, we offer a variety of entertainment and activities, including live music, workshops, chef demos and children’s activities. We also promote a weekly market theme, for example, Blueberries and Bluegrass, or Farm and Flea. The weekly themes keep our market atmosphere festive, fresh and fun! FMC: Tell us more about how you promote DT Pittsfield FM, through both social media and more traditional platforms. JC: We have a very active and engaged Facebook community and have also had success with Facebook ads. We also use Instagram to visually promote our market and vendors. We post the city, send flyers though social service organization and public schools, run radio and newspaper ads, go on live local radio shows, hang banners across main streets and send weekly emails to our mailing list of over 2,000. Getting out the word is key to our success! 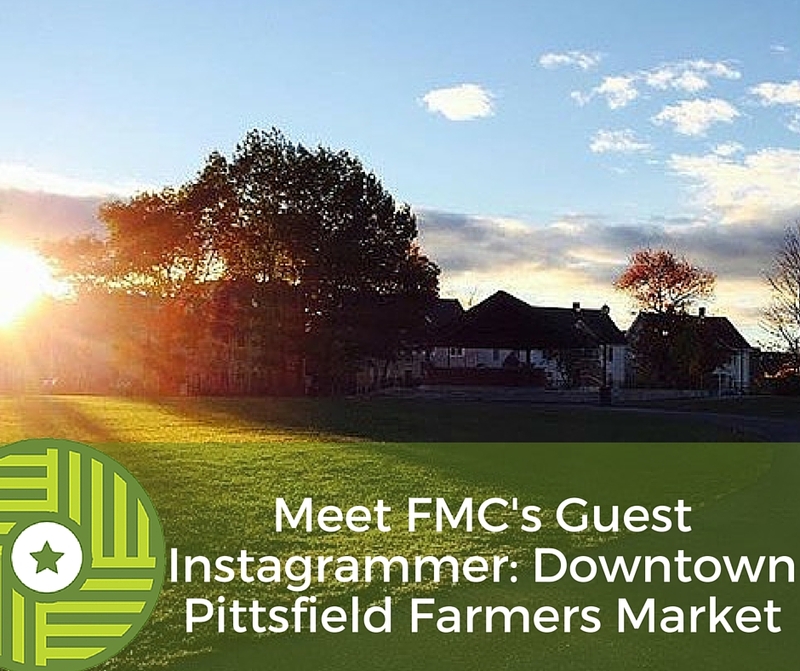 Be sure to check out DT Pittsfield’s story by following FMC on Instagram!